21st March, 2016 - The Duolingo app downloaded from the Playstore. 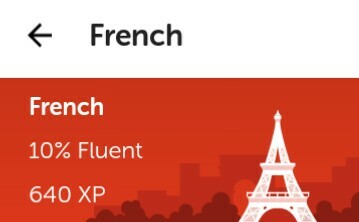 21st April - My app shows me 12% fluent in French. 21st May - My app now thinks I'm only 10% fluent in French. 1st June - I sit wondering if I log in to the application, and mess a lesson up what my fluency in French will be downgraded to. Maybe to 1%, seems realistic. Apparently, I'm not too good with dates, so I just kind of made that data above by myself. Here's a sure thing though. A month earlier I did my French lessons for 19 straight days in a row. My fluency in French rocketed to 12%. Everything appeared to be cruising, and then 1 day, my INTERNET connection gave up. The 19 day French streak was broken, and it's never been the same henceforth. Somewhere in February/March I downloaded an app for learning a foreign language. I found out Duolingo to be the best FREE option. I quickly (not so quickly.. I still use 2G) downloaded the application, and there began my journey. By the end of 1st week. I knew at least 40 words. It gives me immense pleasure to remember the 1st sentence I made in French. It was "Je suis un riche garçon". I don't even know now if it's correct (just kidding.. I checked it). My app still shows me as 10% fluent in French, but I'm not. I have always found horoscopes to be a waste. Apparently, no horoscope as a child warned me 'bout using 2G internet. Things take ages to load. Heck, I even think of suing some of these Telecom companies. But, then 2G is cheap, and I am too. So, Bonjóur, Boññe nuit, garçon, hómme, femme, chat, rouge, and as I am writing this, I think I still remember a lot of those words, and maybe I am not too bad with French. So, if I login again - which I will - and, Duolingo tries to act mean to me and says that I'm as ridiculous in French as it's in working with 2G. Maybe, I will start a #RahulKnowsFrench movement on Social Media and let Duolingo know that I'm a French master. Although, I personally think horoscopes are sh*t, but one I randomly came across said that Geminians have French as their favourite language. Although, it's stupid to generalize so many people just because they were born between 21st May and 20th June (or whatever the sample class is), but anyways, I will stick to learning French. I sometimes think that I should try to learn German simultaneously too, but I will persevere with French. English is another option too, but it would hurt my ego to see the app showing my fluency in the language as 0% initially. Learning language is never 'bout arithmetic, but my ride with Duolingo seems to be all 'bout numbers. In all that, I often wonder how small this world has become. And, how fascinating and exciting the world of technology is. Internet is there to stay long in a world with so many uncertainties, although who knows what more humans will add to this world of increasing wonders. On another note, the woman whose voice has been used in the app is really sweet, but I often wonder if she's having fun testing my listening skills. French like anything new looks difficult to adapt to, but it's fun nonetheless. It will be interesting to see what my fluency remains once after messing up a lesson, I log out of the Duolingo app next time, if my 2G internet is able to load the data too. In hindsight, it could've been very different if my internet connection hadn't crapped out on the 20th day. I could've even been applying for an official masters degree sometime soon. I wish, ages and ages hence, I wouldn't be telling my kids that, "One March evening, the data didn't load, and that has made all the difference - well, at least to my knowledge in French." 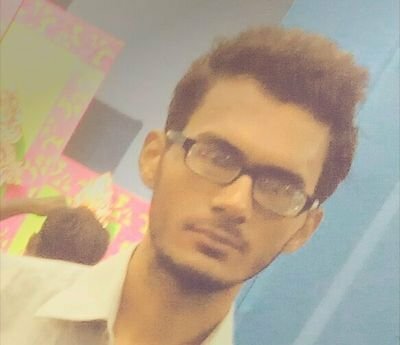 When he isn't fighting towards attaining fluency in French, Rahul blogs over at https://goodlittleindian.wordpress.com/ - go say hi! GOSH RAHUL!!!!!!!!!! SO UR HILARIOUS MAN!!!!!!!!!!!!!! CAN'T STOP LAUGHING .....HAHAHAAAAAAAAAAAA!!! Thanks for replying. Okay, I will check out a more personalized horoscope, hoping it ain't too mean. Thank you.